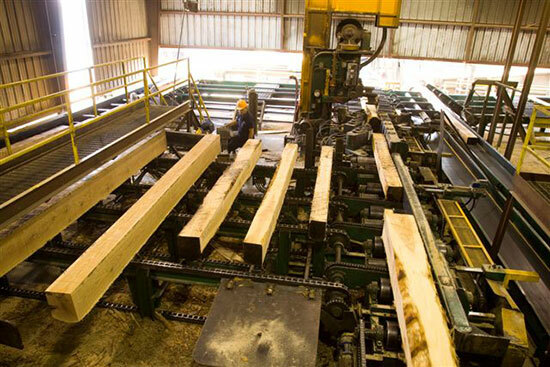 Grade Hardwood Sawmill - Thompson Hardwoods, Inc.
Thompson Hardwoods, Inc. sawmill can process Southern Hardwood and Cypress saw logs that are 14” SED (small end diameter) and 8ft. up to 18 ft lengths into 4/4 thickness and 8/4 thickness under NHLA grade rules. 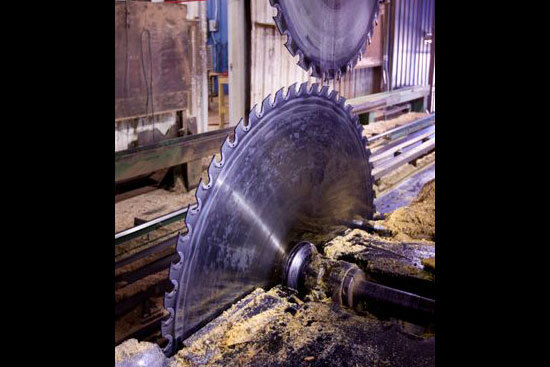 Learn more about lumber sawmills. 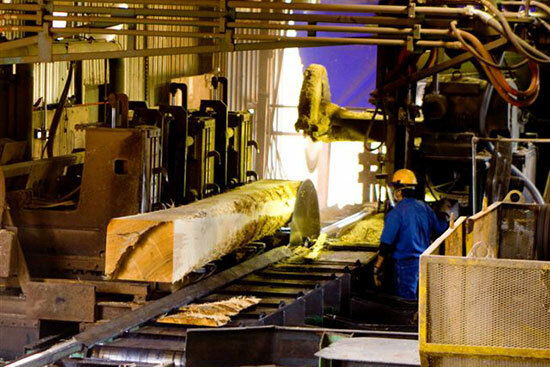 The process begins with the debarking of all logs to remove bark and excess dirt from the surface of each log with a Fulghum Industries Rosser Head Debarker. 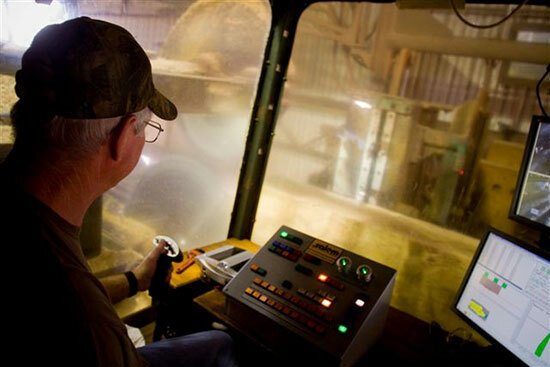 Logs are then scanned by Nelson Brothers Engineering Surround Scan and Salem Equipment Motion Controls on a Salem Equipment 3-Knee Linear Positioner log carriage. Additional processing is handled by a Salem Equipment Verticle 6 foot Band Saw Resaw and a Salem 8” x 60” Thin Kerf Guided Gang Saw and a Salem Equipment 3-Saw Edger. 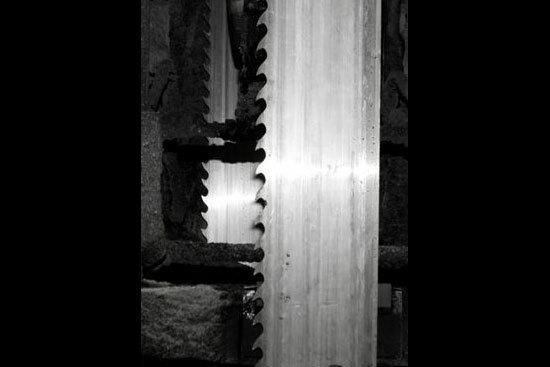 Trimming is handled by a customized Corley Manufacturing Odd Length Multiple Drop Saw Trim Saw. Secondary Processing of lower value lumber products into various custom pallet lumber components is handled by a Brewer Manufacturing Multiple Trim Saw and a Brewer Planer Rip Saw. 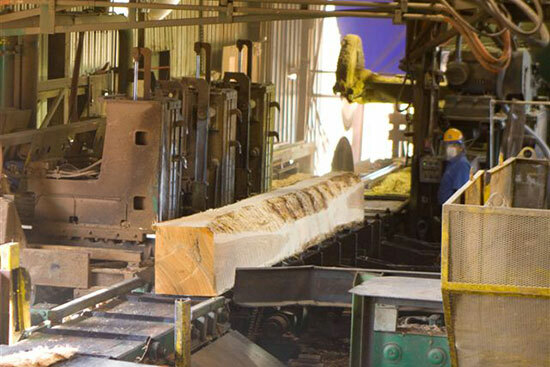 The sawmill has capability to handle various sizes of switch ties, crane mat timbers and pallet cants.